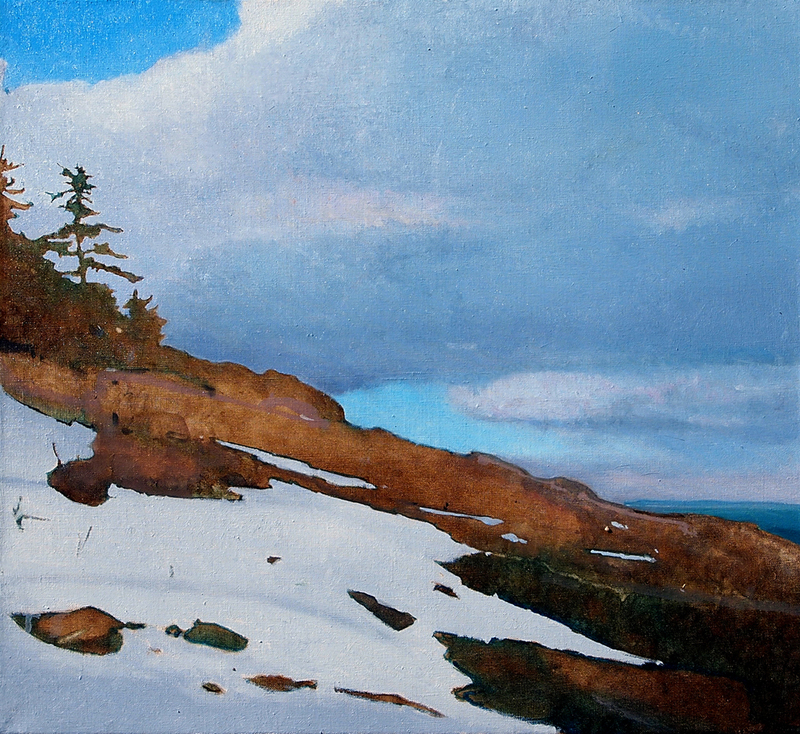 Late_Snow_Frenchman_Bay19x2 | Robert Pollien, Artist: Maine, Wyoming, Landscape, Crows. I love this style, love this subject. I am a huge fan of all of the paintings using this pallette. Gorgeous. Peaceful.